Self Managed Superannuation Funds (SMSF) are a form of trust which receives concessional tax treatment if they comply with the SIS legislation and regulations. To set up a SMSF, a trust deed is purchased, often through a qualified accountant, so there are expenses incurred prior to any assets being held by the super fund. 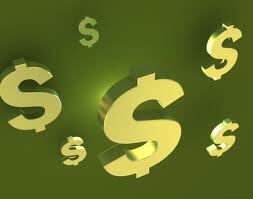 These expenses are usually paid by an associated company or the individual members. Often accountants will allocate that expense in the company as a super contribution or as a deductible member contribution (concessional contribution). is often made to recognise the set up of the SMSF. However, a trust does not legally exist until it begins to hold an asset in trust for someone else. Therefore, unless cash is deposited into a SMSF bank account or assets are transferred to the SMSF, the SMSF does not exist. Subsequently, the above journal is incorrect. If a SMSF has been set up and the only activity for the financial year has been the payment of the set up costs, no assets are held by the SMSF, the fund is not yet operating and therefore will not need to prepare financials, obtain an audit or lodge a tax return. In such a case, it would be prudent to inform the ATO that a return is not necessary to avoid being chased for the lodgement. Self Preparers with newly established super funds that are required to lodge a tax return for the 2013 financial year need to lodge and pay (if applicable) by 31 October 2013. 31 October 2013 is also the due date for self preparers with one or more tax returns outstanding at 30 June 2012..